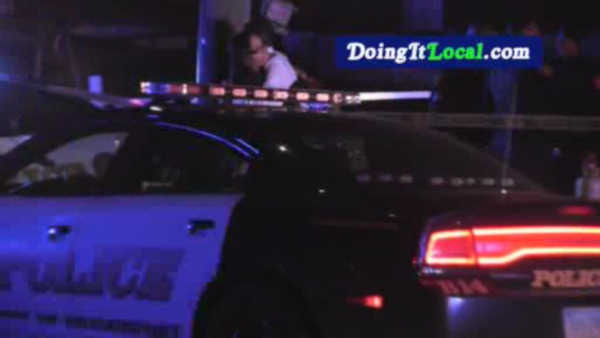 BRIDGEPORT, Connecticut -- Police say a weekend shooting at a Sweet 16 party in Connecticut left four people wounded and one man seriously injured. Officers arrived at a club in Bridgeport around 10:45 p.m. Saturday for a report of a disturbance. Police say a group of unwanted guests had crashed the party. A fight broke out inside the club and then moved to the parking lot outside. Police say five people were shot by at least two shooters. Four people were taken to a hospital with injuries not considered life-threatening. A man was hospitalized with serious injuries but is expected to survive. No one was immediately identified. Police say at least two suspects were behind the shooting. The incident is under investigation.